WE’RE COMMITTED TO PROVIDING A GREAT CUSTOMER EXPERIENCE. 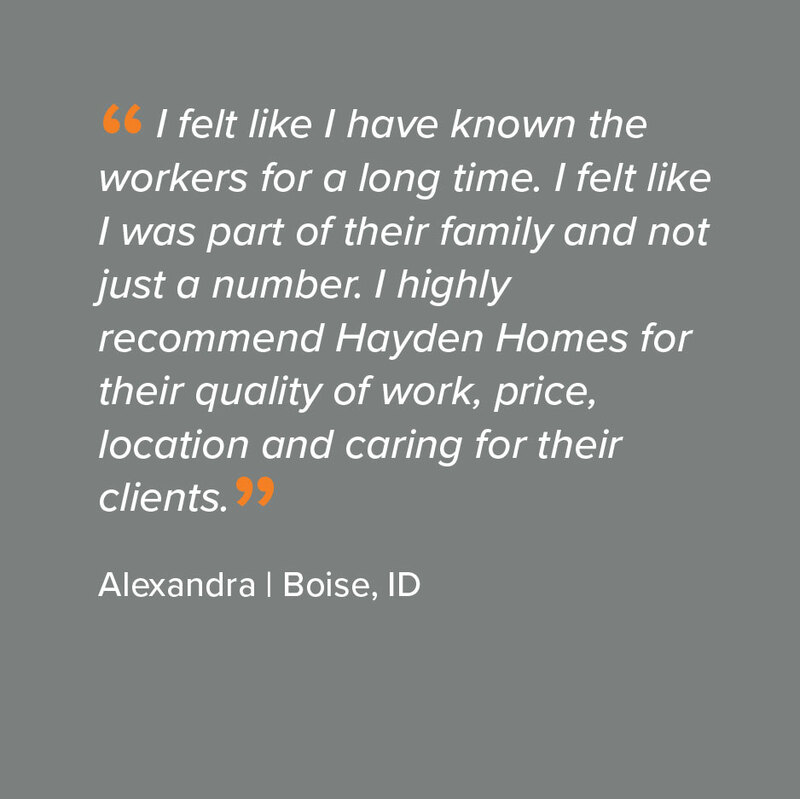 But don’t take our word for it, let our homeowners share their personal stories and experiences with you. 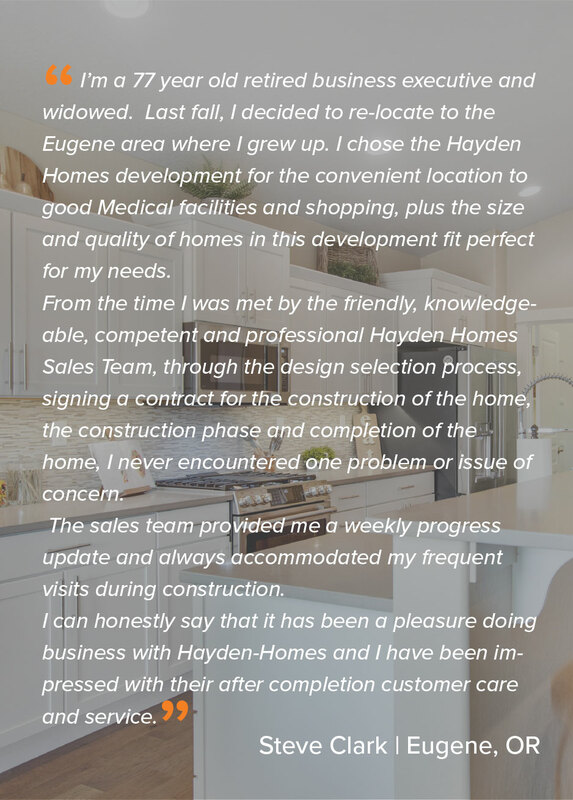 See all the award winning floorplans Hayden Homes offers. Pick features, see photos, take a virtual tour and choose a home that is perfect for you at any stage in life. Talk to a Community Manager, who can explain the new home building process, answer all of your questions and help guide you to the perfect home. LET’S GET STARTED In order to provide you with the best assistance, we need to collect a little information. Where do you want to live? 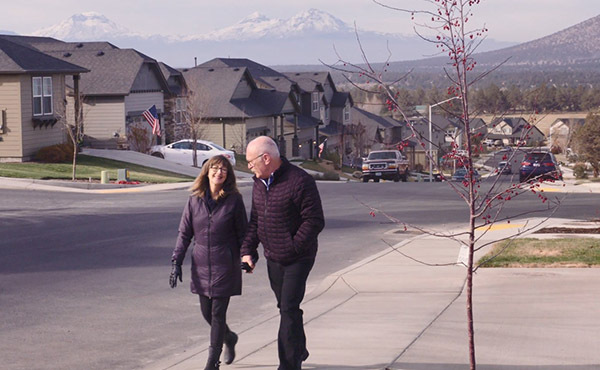 With new home communities in Idaho, Oregon, and Washington there is a good chance we’re building a home right where you want to be.